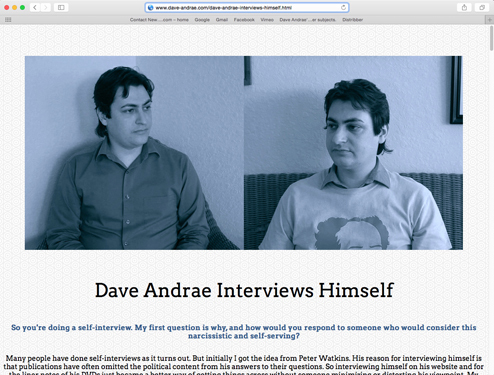 August | 2015 | Dave Andrae's "Blog"
A new self-interview, entitled Dave Andrae Interviews Himself, can be read HERE. I think it does a pretty good job of delving into the particulars of how The Plants Are Listening was made, while shedding light on some of the ideas behind it, as well as my views on moviemaking in general. It was originally written in anticipation of the movie’s release on iTunes, but it looks like The Plants Are Listening will be unavailable for widespread home viewing for the indefinite future (long boring story best told in person). Anyway, here’s hoping you find it a worthwhile read.